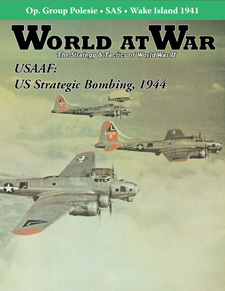 World at War was created in 2008 as an offshoot of Strategy & Tactics. 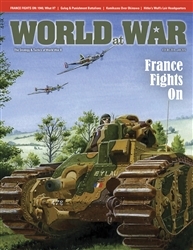 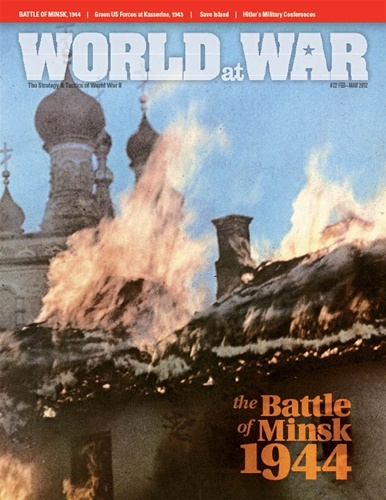 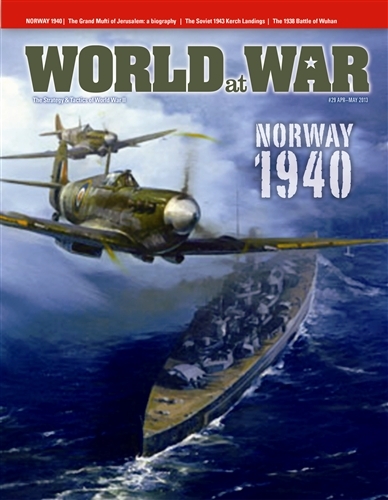 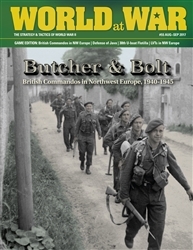 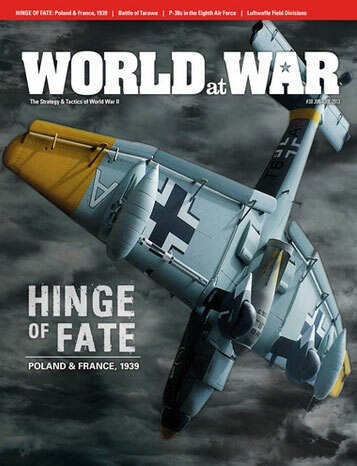 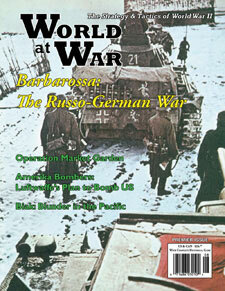 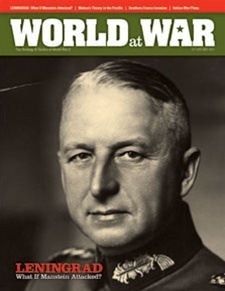 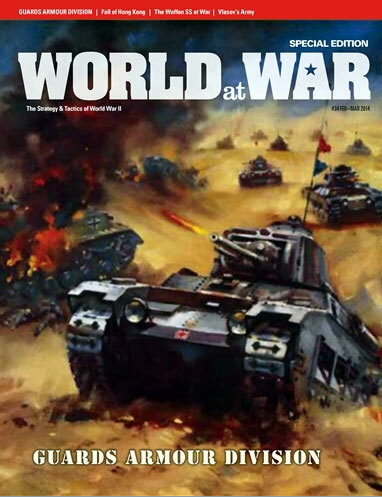 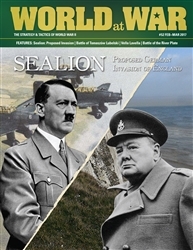 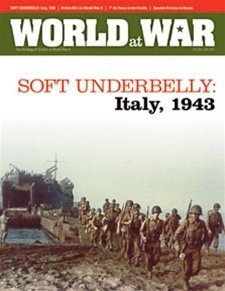 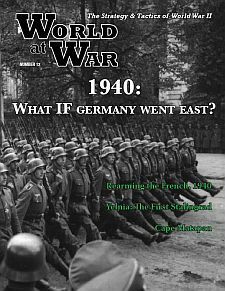 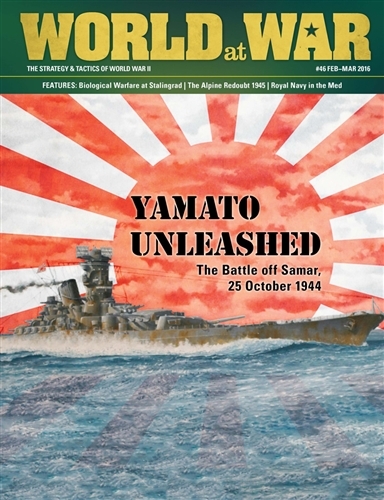 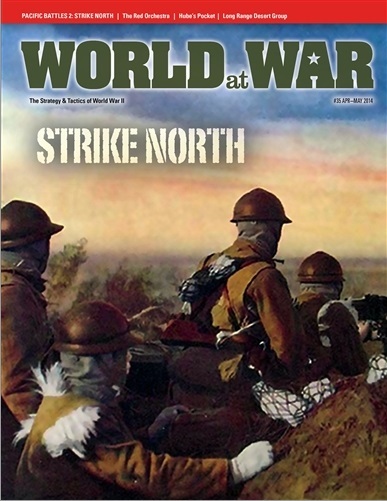 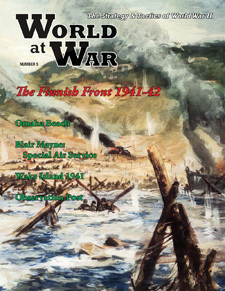 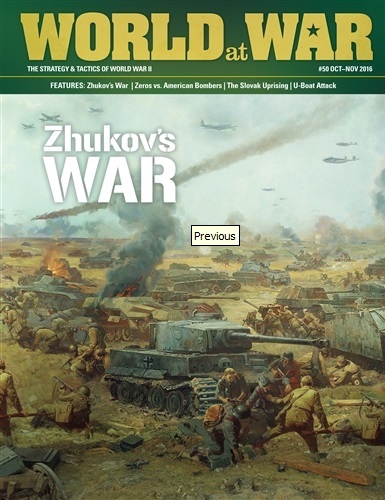 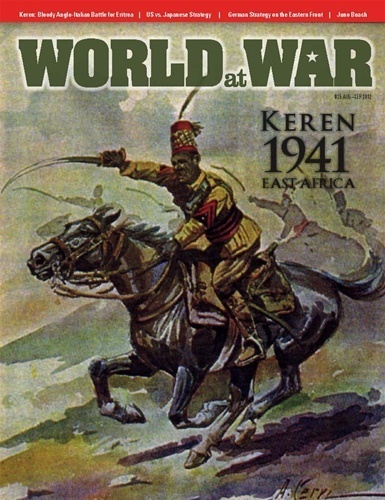 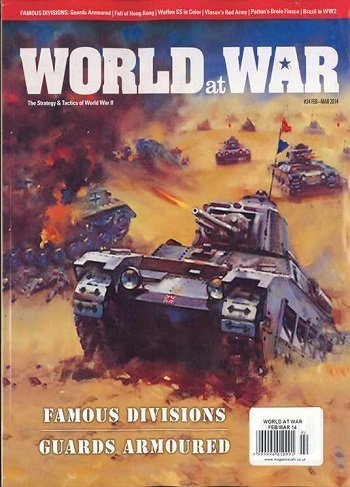 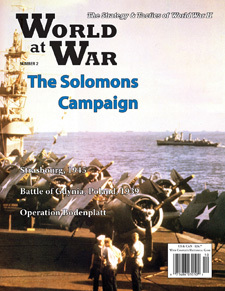 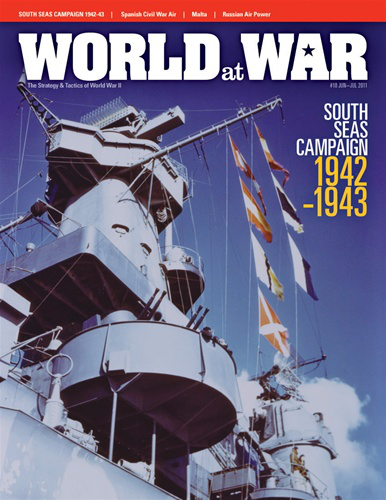 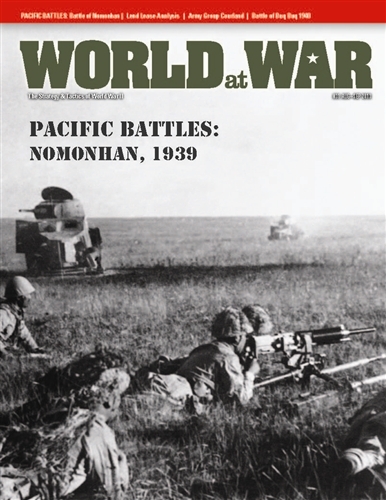 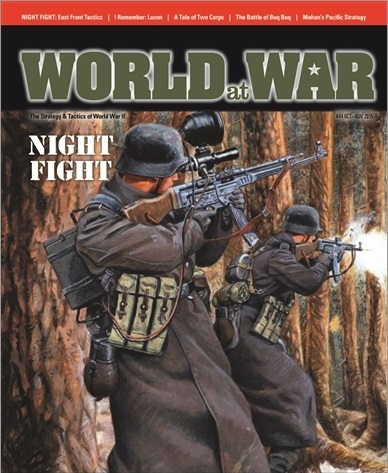 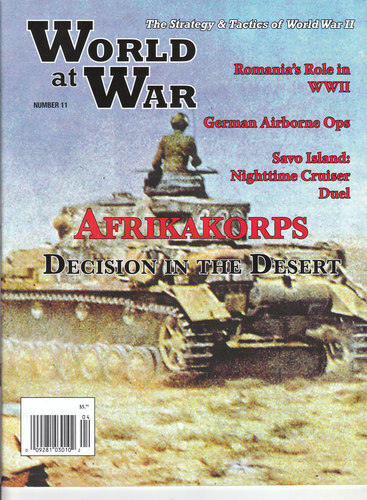 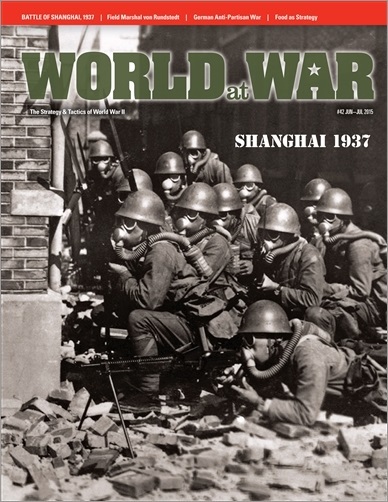 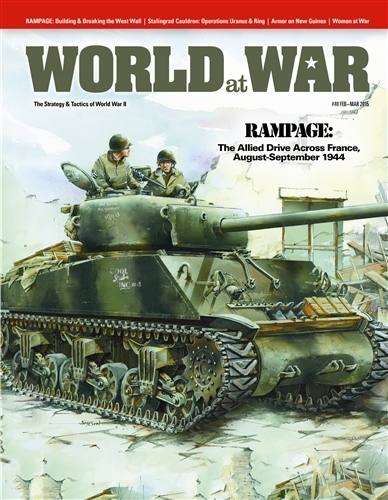 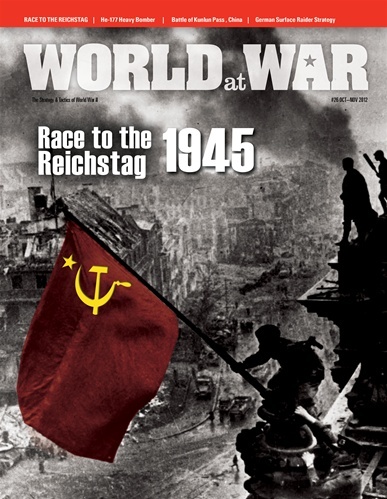 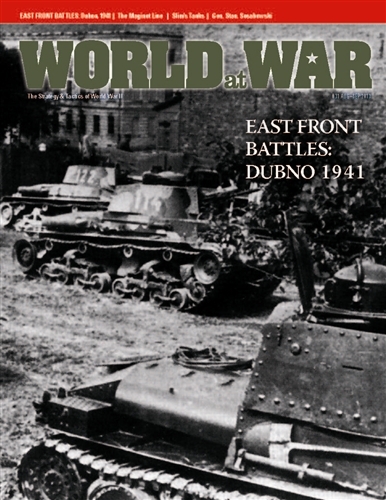 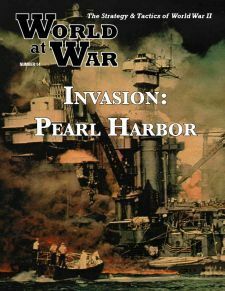 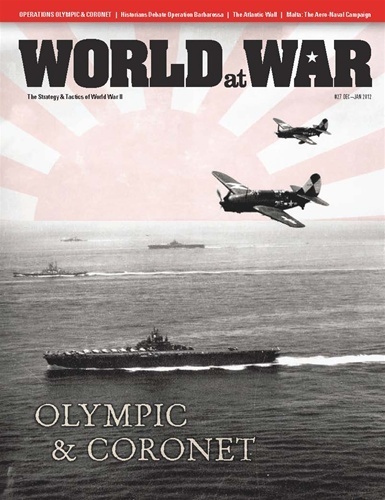 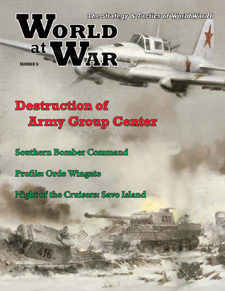 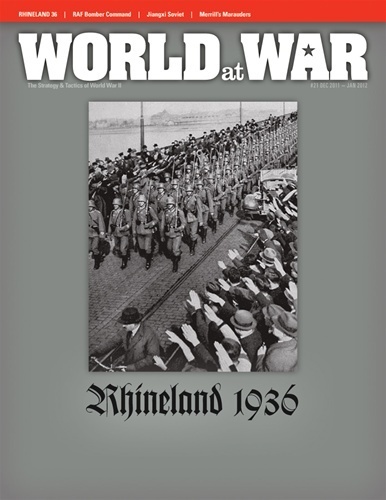 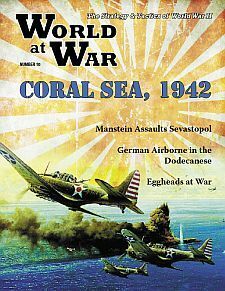 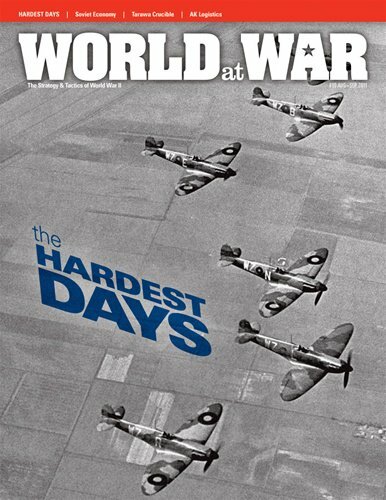 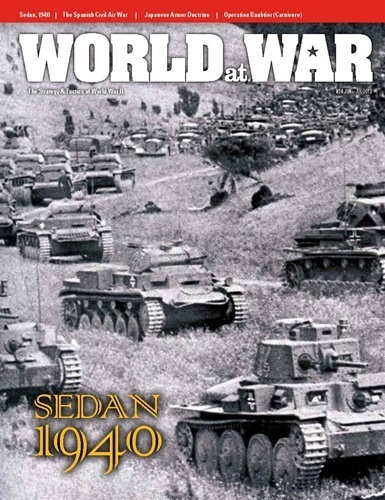 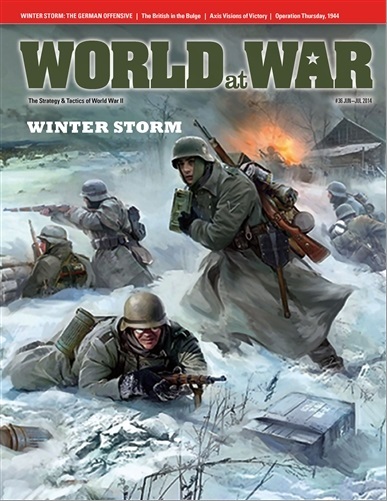 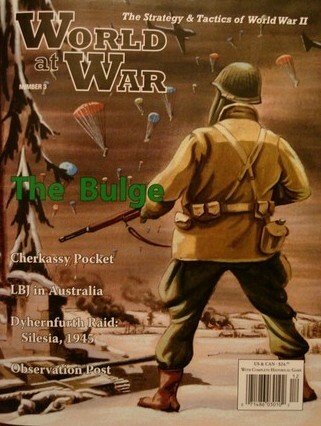 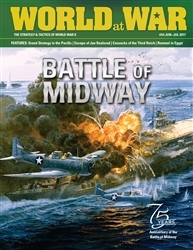 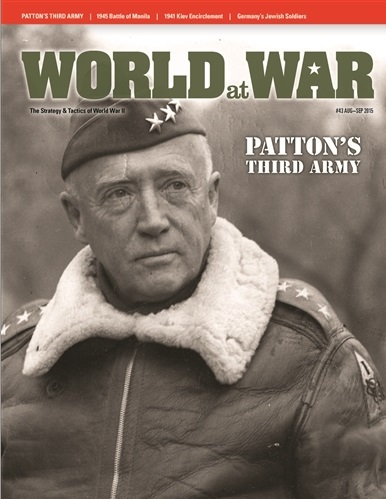 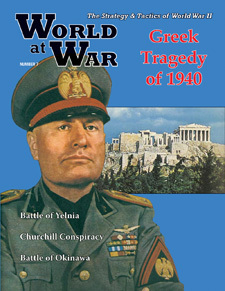 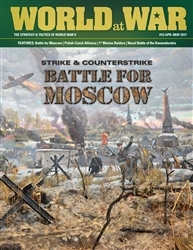 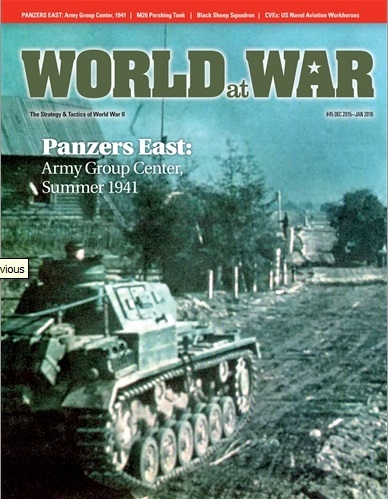 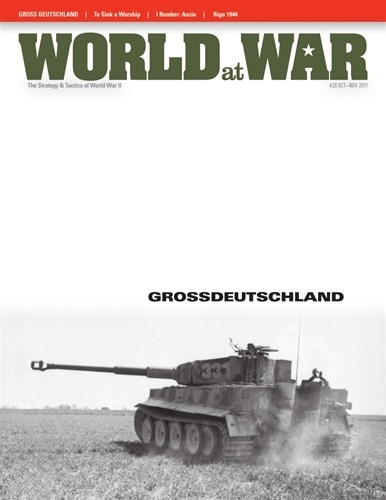 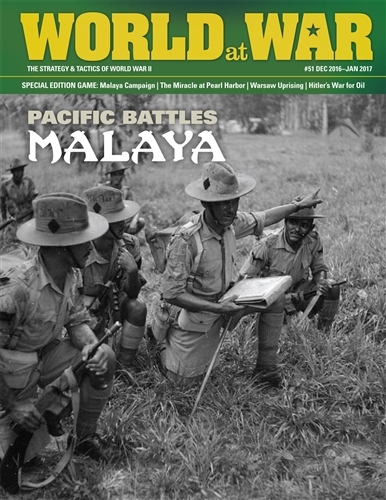 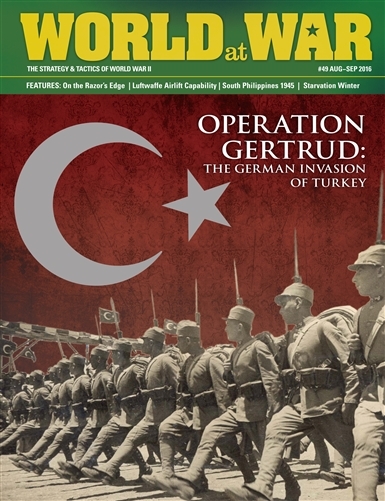 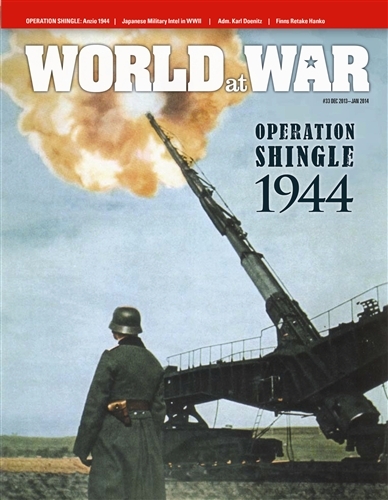 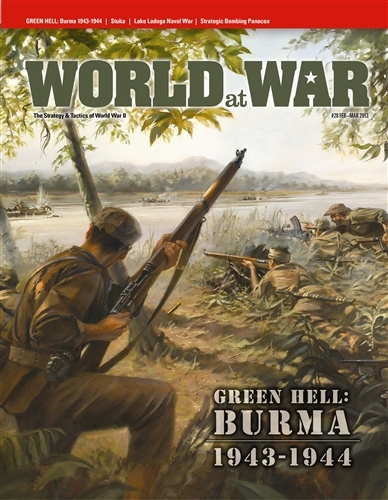 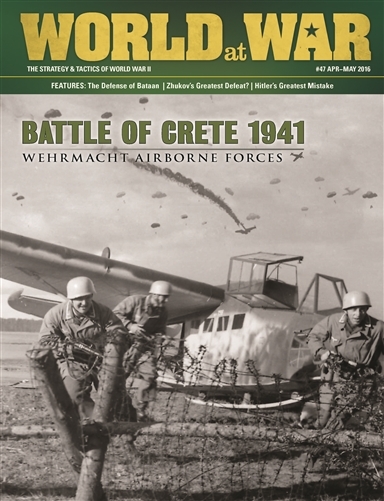 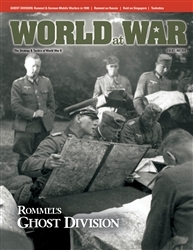 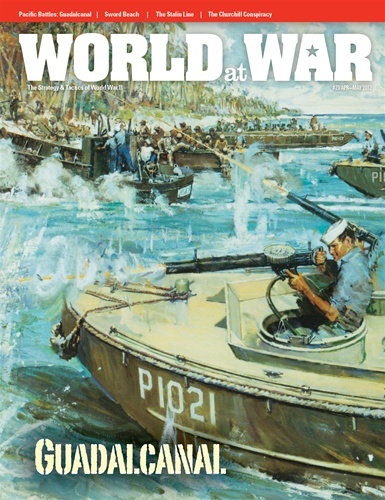 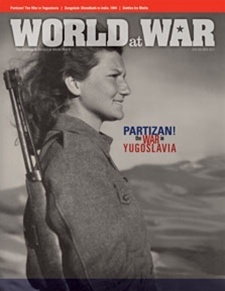 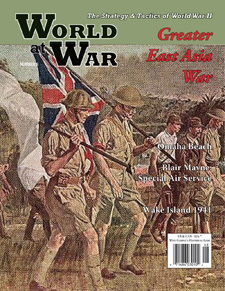 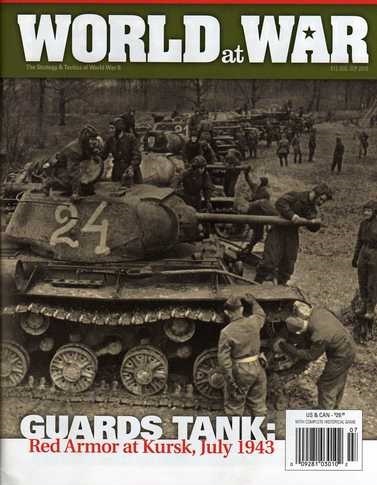 The magazine focuses solely on the Second World War, with games and feature articles rotating through four major areas of interest: the Western Europe and Mediterranean theatre, the Eastern Front, the war in the Pacific, and all other subsidiary campaigns of the war or related history (such as the Battle of the Atlantic, Spanish Civil-War, and even what-if subjects such as the planned German invasion of the United Kingdom). 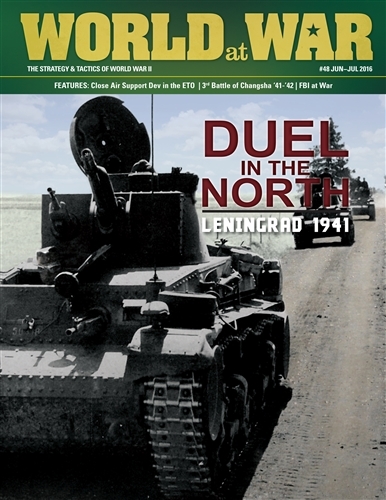 The focus is similar to the current edition of S&T in that there are two editions, both with and without included wargame in each issue. 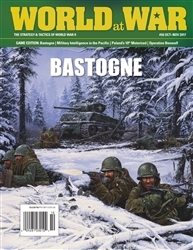 Like S&T, tactical offerings and subjects have been meagre, though the list of promised offerings did include at least one tactical offering scheduled to see print in 2014. 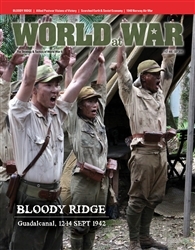 Bloody Ridge, published in December of that year, was a low-level look at the fighting on Guadalcanal.